We live in a world full of distractions that can make it difficult to foster and strengthen bonds between family members. Unlimited access to the Internet, satellite television, flashy gaming devices, and unlimited streaming services can easily interfere with our relationships. 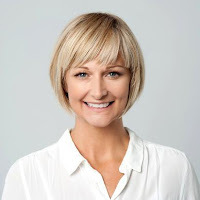 Lately, people have begun to notice how our beloved handheld devices, which connect to a world of social media and gaming apps with a simple tap of a finger, are heavily influencing our families. It’s easy to see all the negative side effects of constant updates, electronic whirring, and metallic pinging. However, all is not lost. Technology has the potential to be a wonderful tool for this generation. If used correctly, it can bring families together in ways that were unimaginable in prior years. 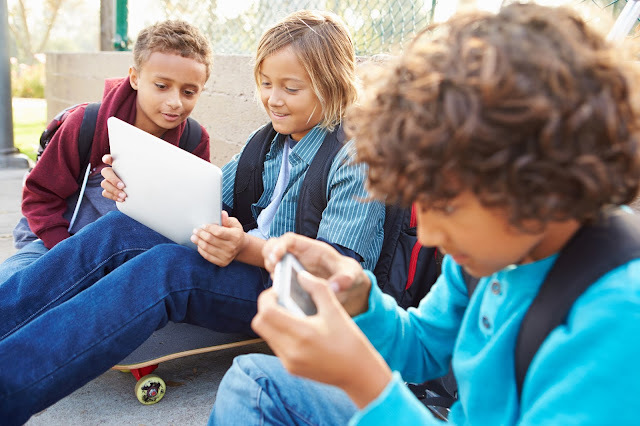 Granted, many of our children, friends, and family members are proud owners of cell phones, tablets, computers, and gaming systems at levels never seen before. While it is easy to complain about the knot of charge cords and adaptors crowding our countertops, we need to take a step back and look for the positive ways this technology invasion can improve our family life. Friend family members on social media and make it a point to reach out to each other on a frequent basis. Don’t wait for birthdays or anniversaries to drop a quick hello. Take a few minutes and send a quick note when you think of them or see a meme that reminds you of him or her. Look for apps and online services to help manage the family. Take advantage of online banking, calendar apps, meal planning, couponing sites, and more! Save yourself time and money by simplifying your amount of paperwork and juggling of schedules to make technology work for you. Have fun! Send a short, funny video of you telling a joke or challenge your child to a mean game of TriviaCrack. Face-to-face conversations are important, but meeting a teen on his or her “home turf” can yield authentic ways to interact. Text and message updates and carpool schedules. One of the luxuries of children toting cell phones is that they are accessible anyplace, anytime. Simply have your child check in their whereabouts or send an update of their activities to keep everyone in the loop. This will keep family schedules running smoothly and offer parents peace of mind when a child is out late. Get Grandpa and Grandma connected! 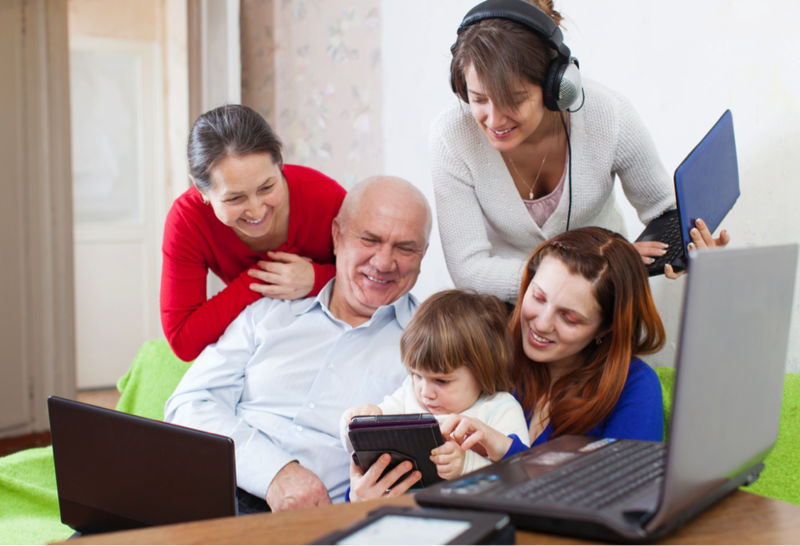 Include senior family members in on the fun and introduce them to technology. This act will promote interaction and bridge the generation gap. Taking a few minutes to teach seniors how to video chat or send a text message will ensure that everyone is connected. Develop a technology plan or contract for the family. Sit down as a family and design rules, expectations, and consequences in regards to technology. Be specific and write them down! Spending a little bit of time on developing an agreement will help prevent future problems, because everyone will be on the same page. Power down devices during family functions and at night. By creating tech-free zones, family members can focus on dinner or activities. It will also allow children, and even parents, a break from their electronics and offer face-to-face chances to bond. Learn new skills or hobbies together. Whether you are training to do a color run or mastering the art of French cooking, the Internet is full of endless ideas and tutorials. Take advantage of Pinterest or Instructables for fun activities or craft ideas to inspire kids and adults! Avoid homework meltdowns by using the Internet as a resource. Turn to the world wide web for tutorials, study guides, educational games, and clarification for difficult topics. With a little help from YouTube or Khan Academy, you might be able to conquer exponents and Newton’s Third Law with a minimal amount of tears. Strive to teach children social media etiquette. We live in a society that is driven by technology and our online presence is important. Given that most three year olds are actively surfing the net, we should not delay these conversations. At first keep topics simple and build on them as kids age to cover dicey topics like sexting or cyberbullying. Consider monitoring a child’s technology activity. Many children and teens are reluctant to inform parents about things they encounter online. In fact, 70 percent of teenagers regularly hide their activity from adults. Know a child’s contacts, apps, and check in to keep tabs of what they are encountering online. Talk with your child to determine if a tracking app is a tool you want to employ. and promote our family values. What is one way you use technology to keep your family together?